There is this nice feature with Cisco Firepower called DNS Intelligence. This feature allows us to have a huge database containing known bad domain names and utilize that database to drop connections to IPs represented by those names. We can have these names in form of some feed provided by Cisco or some other vendor, for free or as a payed service, or it could be created by us. 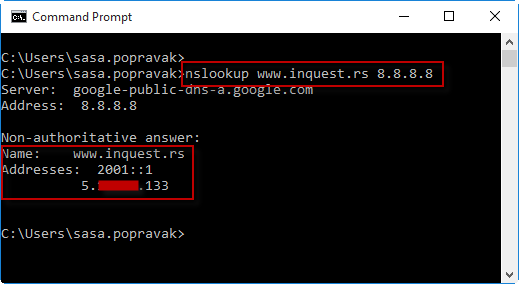 What ever case may be, the point here is the same: we want to drop connections based on the result of the DNS query. One good example would be C2 or Command-and-Control connections. If one of our PCs caught some malware and that malware is trying to call home using known bad DNS, we can detect and prevent it. More on how DNS intelligence works can be found here. So, client asks for the IP of a given name (1), if the name is not malicious, the SFR passes the query to the public DNS servers (2). 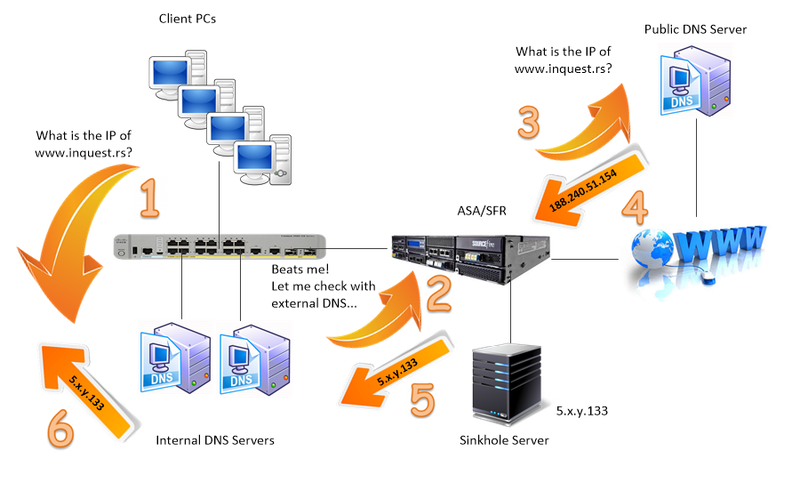 The chosen DNS server returns the answer (3) which SFR passes on to the client (4). Now client connects to the returned IP address, with the HTTP(s) or any other protocol. The steps are almost identical. The only difference is that the SFR recognizes that the requested DNS name is malicious and returns the sinkhole IP address instead of real IP. Now the client connects to the sinkhole address of 5.x.y.133 and can be easily tracked and identified as infected. The site in question is by no means malicious, but rather an example for testing purposes. 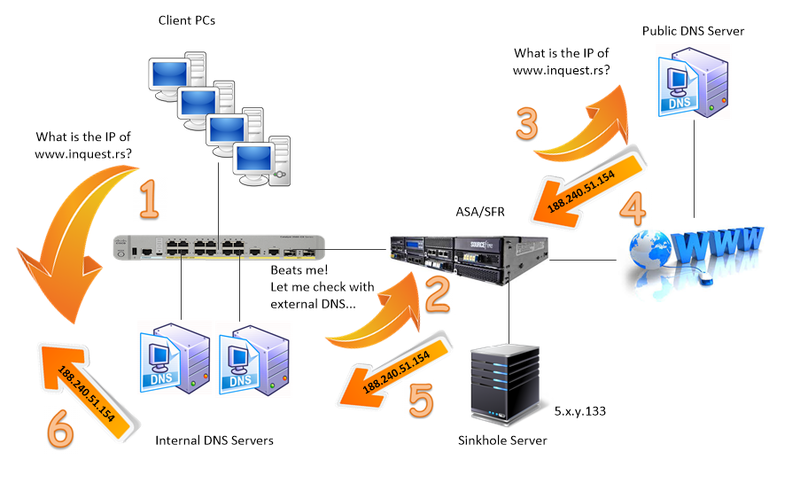 The query flow is similar, but instead of asking public DNS server directly, the infected PC is asking our private DNS servers for address (1) and our DNS server in turn asks public DNS servers (2). If the name is not malicious, SFR will pass the request to the Internet (3) and the resolved IP address will be returned to the client (4), (5) and (6). Now the client connects to the sinkhole IP and we got it logged on the FMC. There are two issues with the second scenario: because the SFR is seeing a malicious request coming from our DNS server (2), it will mark DNS server as being possessed by a malware, which clearly is not the case. So, two not so good things are happening here: first, our DNS server (and probably a domain controller) is marked with “Indication of Compromise” flag, and second, there is no way of telling which PC is actually infected. This is where DNS Sinkhole action comes into play. It fixes the second issue, so we can track infected clients. I am afraid that the DNS servers will always be marked with an indication of compromise flag, but we can treat these events as a false positive, given that we know what we are doing. The sinkhole is nothing more than an IP address that the SFR will return for DNS queries made either by clients directly or via internal DNS server. This can be fake, non used address or it can be an IP address of real server. The important thing is that the address *must* be “outside” of the network, or should I say in a place in our organization so when the query that client sends to this address actually goes *through* the SFR. This is important because this way the SFR can catch follow-ups connections made by our clients after DNS queries. I mean real HTTP/HTTPs or other connection types. 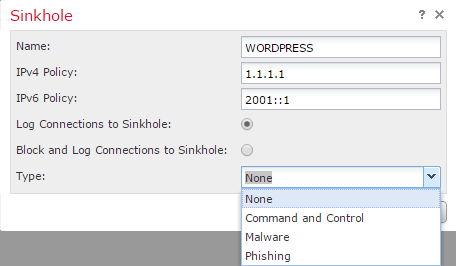 If the IP address is bogus, then we can filter out all events on SFR with the destination IP of sinkhole object and associated source IPs are actually our infected PCs. If the IP address is real, that is we have a server on that IP, we can have more data collected on that server to do deeper investigation. Makes sense? We already know how DNS policy works, how we configure it and where we attach it. Now we are going to alter our policy in this way: we will create a list of DNS names we want to sinkhole. Then we will create a sinkhole object. Finally we will create a DNS policy rule that will return a sinkhole object address for any query sent for names from the list we created. First, let’s create our list. 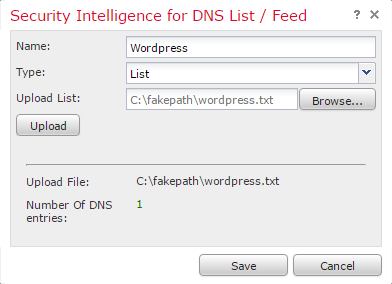 “Objects->Object Management->Security Intelligence->DNS Lists and Feeds”. We click “Add DNS Lists and Feeds“. We give this list a name, select type and browse to the file. This file contains DNS names we would like to sinkhole, one name in one line. Never mind the path that is displayed that contains “fakepath“. Then we upload the file and click Save. Now we create a sinkhole object. 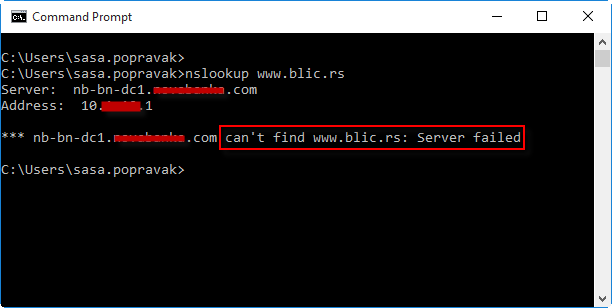 Like said previously, this can be fake IP or the address of a real server that will be collecting additional data that comes from our infected clients. The IP address must be routable in a way that actual connection from infected PC to this address passes through the SFR. Also, the IPv6 address is mandatory. We are not using IPv6, so it does not matter what we put here as long as it is a valid address. We give it a name, IPv4, IPv6 addresses, select if we want just to log or log and drop follow-up connections to the sinkhole address. Optionally we can set a type which will be logged on the FMC. This screen shot depicts IP address of 1.1.1.1. This is just an example. We will actually use here an IP address of 5.x.y.133. Now we need to modify our existing DNS policy to include a rule that will only trigger if the request is coming from specific IPs and contains a specific query. This is for testing purposes of course, because we don’t want to affect the entire organization. 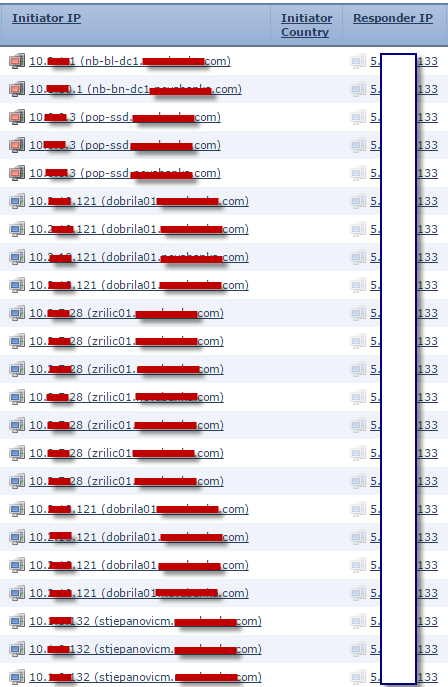 Once we have tested this, we can remove source IP filter and expand our list, or even include some feed. Now we must save changes and apply access control policy. If we now browse to the wanted site we are actually going to go to the 5.x.y.133. This will be logged and if we had something listening on this IP, we could also have packets captured on that server. No luck here as well! Now again, please read about implications on your environment if turning this feature off. I have came across some users complaining that after some time, the changed value reverts itself back to original and again breaks our sinkhole operations. After this change, we must restart our DNS service. We are using different names for testing, because our clients and DNS servers cache results, so if previous test did not come up as we expected, we could fail over and over again because the response was cached. This entry was posted in Cisco, FirePOWER, FireSight, IPS, Security, Sourcefire and tagged asa, dns, dns sinkhole, firepower, firesight, sinkhole, sourcefire. Bookmark the permalink.